Casa da Póvoa is located in Cinfães do Douro, a village and a municipality in the northern district of Viseu, Portugal. Cinfães history is linked to the first king of Portugal, Afonso Henriques and several noblemen of his entourage, like the server Egas Moniz. It has an important heritage resource, especially the Romanesque churches such as St. Cristóvão de Nogueira; Santa Maria Maior de Tarouquela, Igreja do Escamarão, Ermida do Douro among many important others churches, specially dated to the Baroque period, like the one of São Pedro of Ferreiros de Tendais, and Santa Cristina of Tendais. 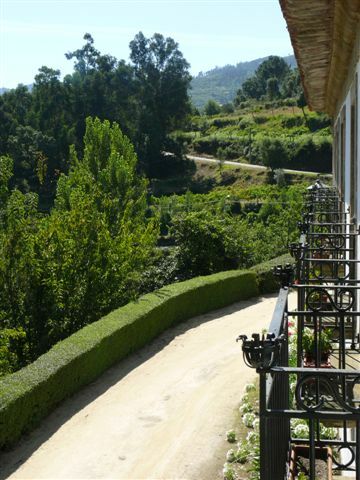 Casa da Póvoa is close to the Alto Douro Wine Region, a World Heritage Site by UNESCO. Long famous as the source of port wine, the Douro is now also renowned for its fine, rich unfortified wines, both red and white. It is in this region that you will find the terraced vineyards, viewpoints with astonishing landscapes and the famous “Quintas” where Port Wine is produced. Visits to the Douro “Quintas” are possible to organize upon request. Take the train from Porto Antigo until Pocinho and admire the beauty of the Douro River and vineyeards in the slopes close to the river. If you prefer the boat, there are plenty of cruises starting in Porto that will take you to the frontier with Spain. Casa da Póvoa is 10 minutes away from Pala (Cinfães) where it is possible to practice nautical activities. If you prefer more radical activities, rafting in the Paiva river (15 minutes from Casa da Póvoa) or walking the 8 km long of the Paiva walkways are two thrilling events to take into account. Amarante Golf course is 40 minutes away from Casa da Póvoa.